The world and the universe is an extremely beautiful place, and the more we understand about it, the more beautiful does it appear. 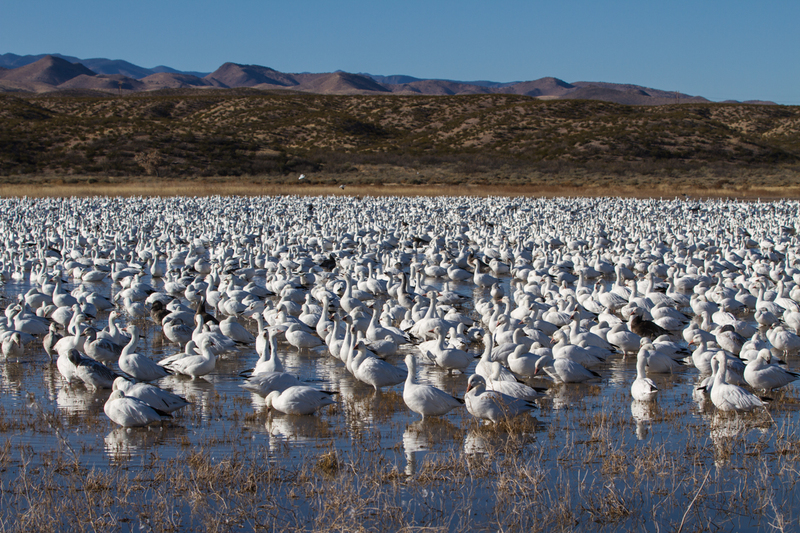 Snow geese, mixed with a flock of tundra swans, filled one of the fields close to the maintenance area. I pulled down on the side of the field where the low angle morning sunlight was hitting the birds, stopped the car, and watched as thousands of white forms moved through the fresh corn stubble in a feeding frenzy. 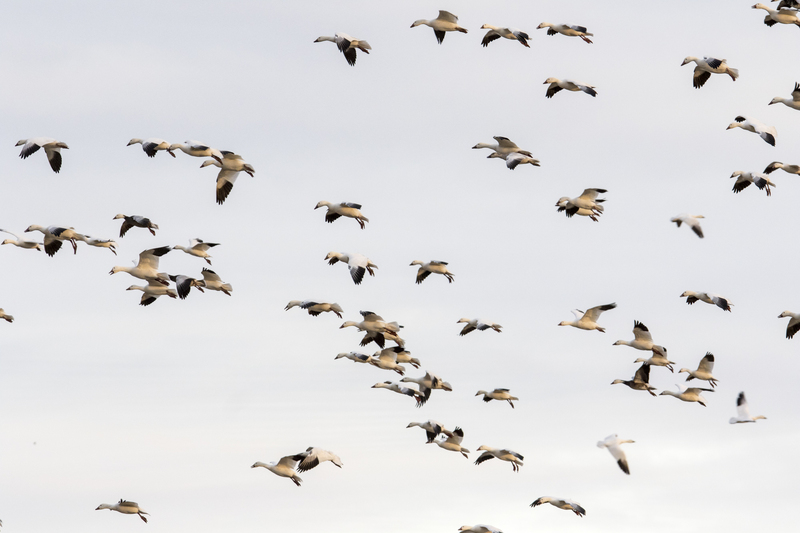 The birds were close to the road so I could hear that mechanical sound made by thousands of snow geese grunting, squabbling, and gleaning kernels of corn from the field. 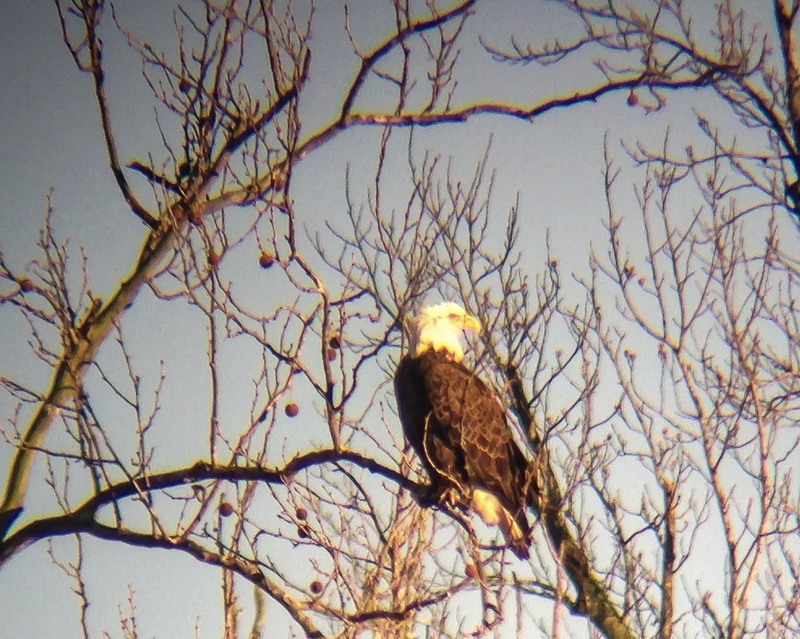 An adult bald eagle was flying across the field, looking over the flock for any possible weaknesses. When it got to the other side I saw two more eagles, perched, waiting, hoping for a chance at a goose breakfast. 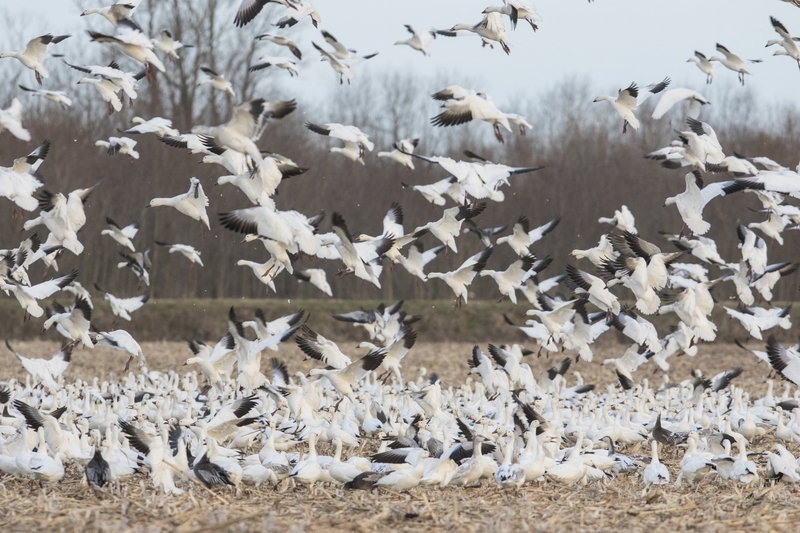 A car drove by and spooked the eagles, so the snow geese quickly calmed down and started making short flights to leapfrog ahead of the moving mass of white to get to untouched spilled corn. This allowed me to get several nice views of them flying by and landing in beautiful light. I drove on to the lake and was surprised to see very few swans. The impoundment was also relatively quiet (only a couple of hundred swans), but the shoreline was crowded with ruddy ducks and northern shovelers. As I pulled in to a spot and parked, the ducks moved away in short flights, but soon returned as I sat in the car, camera out the window. This is where I see many people make a mistake and get out of their cars for a better view. 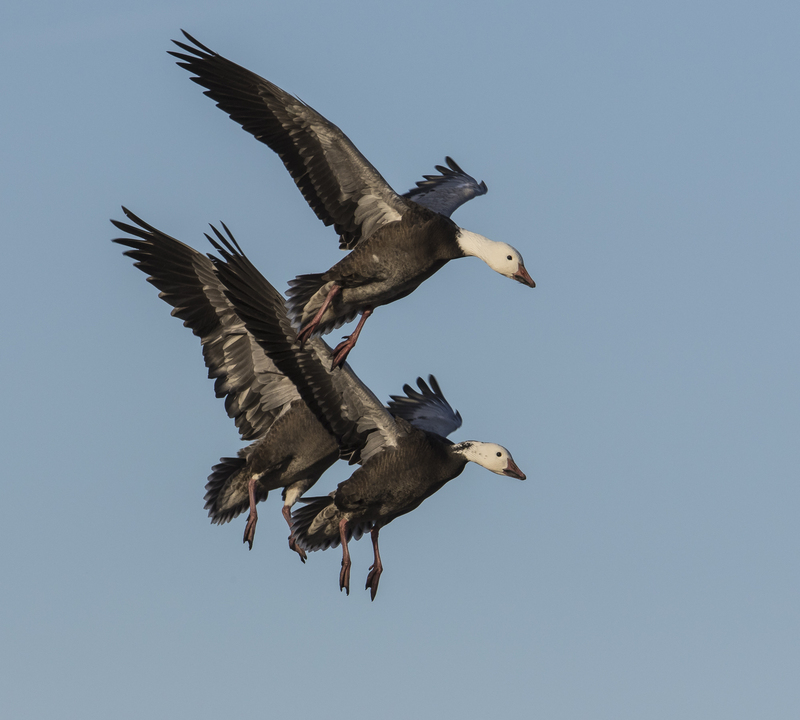 If you use your vehicle as a blind, the birds will often return faster and you usually get a better image. Mid-day found me over at Mattamuskeet. 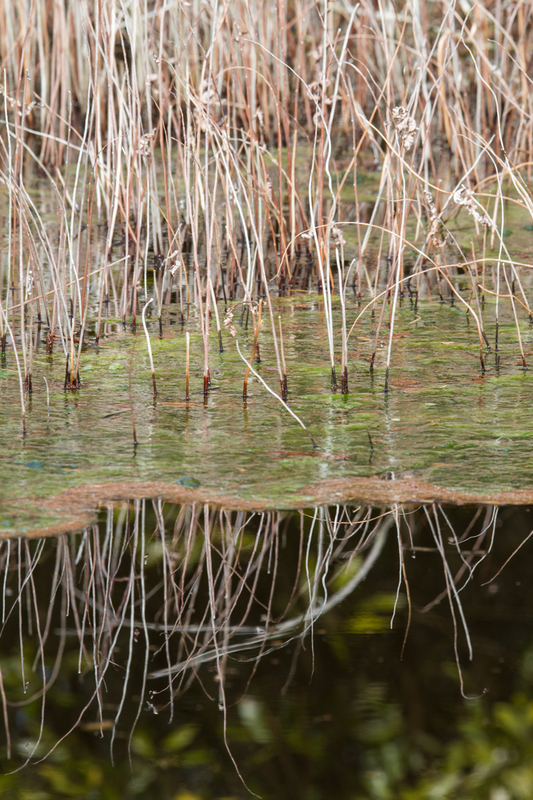 Things were very quiet there with high water in the marshes along Wildlife Drive leading to fewer waterfowl than usual. I did notice several swan carcasses in the shrubbery along the entrance road…bobcats perhaps? 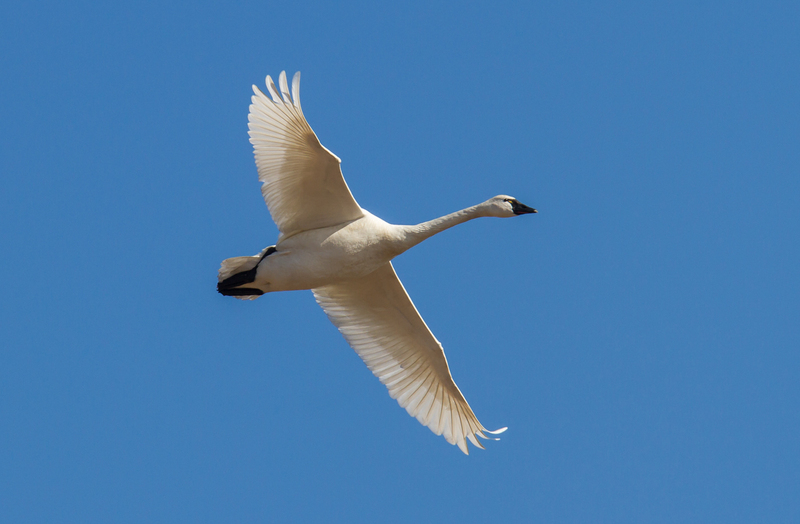 Swan at Mattamuskeet – Trumpeter or Tundra? On the back loop of Wildlife Drive, I stopped to photograph some swans and in looking at the images a little later, found one that resemble a trumpeter swan – longish bill, no yellow on the bill (not always a guarantee it isn’t a tundra swan). What do you think? 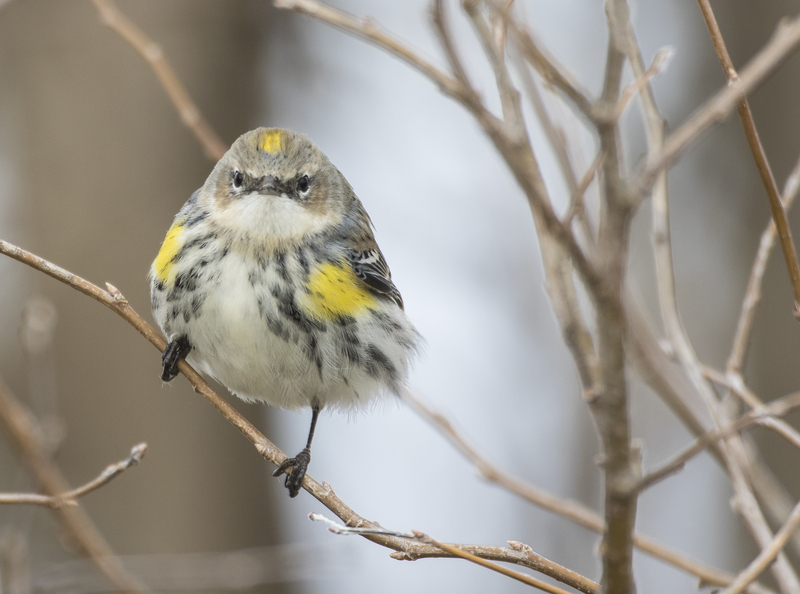 I cruised slowly along the shrub zone, looking for song birds, and, at one point, found a group of yellow-rumped warblers moving through some wax myrtles and sweetgum saplings. They always seem to have a bit of an attitude when they stop and look at you. I returned to Pungo at about 4 pm, a little later than I hoped, but just in time for the start of the evening show. There were vehicles near the refuge entrance observing a few thousand swans out in the winter wheat so I drove on toward D-Canal Road where a local farmer had been cutting the last remaining standing corn in one of the refuge fields earlier. I hoped the birds would find this fresh food supply. I got down there and had several hundred swans in the field all to myself for awhile. A car finally pulled up and the occupants got out and walked into the field a short distance to take selfies with the birds in the background. You can imagine my thoughts…I pulled up to them, admonishing them for walking out toward the flock and spooking the birds. I suggested they should stay in their vehicle for a better look and not disturb the flock. To their credit, they offered an apology and got back in their car as I drove off. 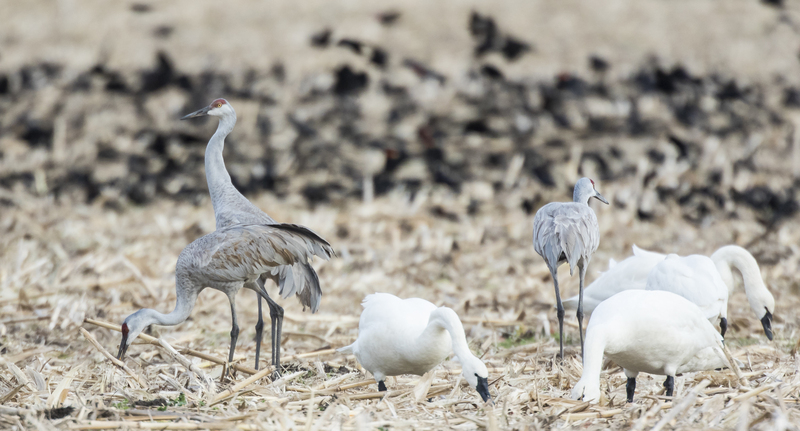 As I drove by the adjoining field, I saw the familiar stooped posture of feeding sandhill cranes in the fresh cut cornfield. No doubt the same three birds we had seen on the Christmas Bird Count several weeks ago. 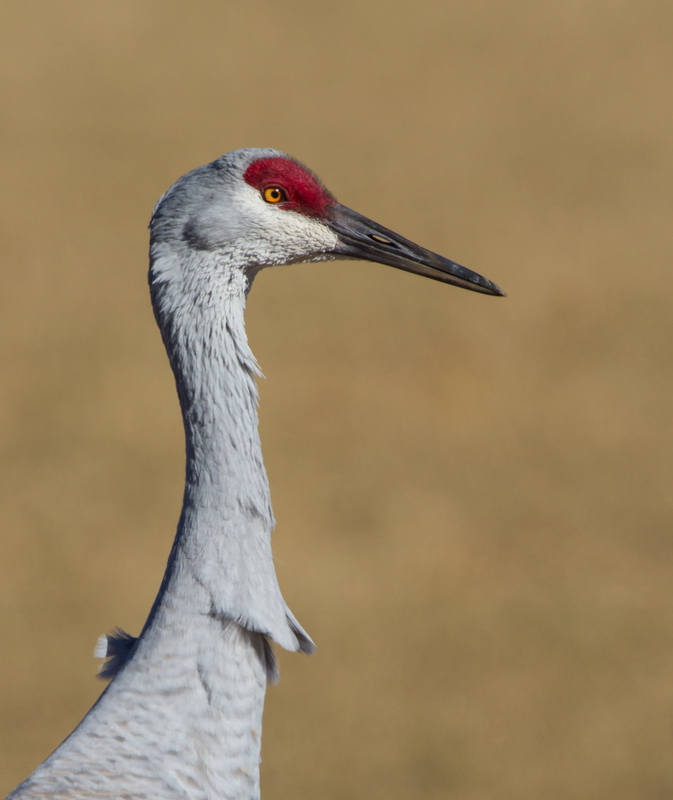 The cranes were soon joined by several hungry swans and hundreds of red-winged blackbirds. 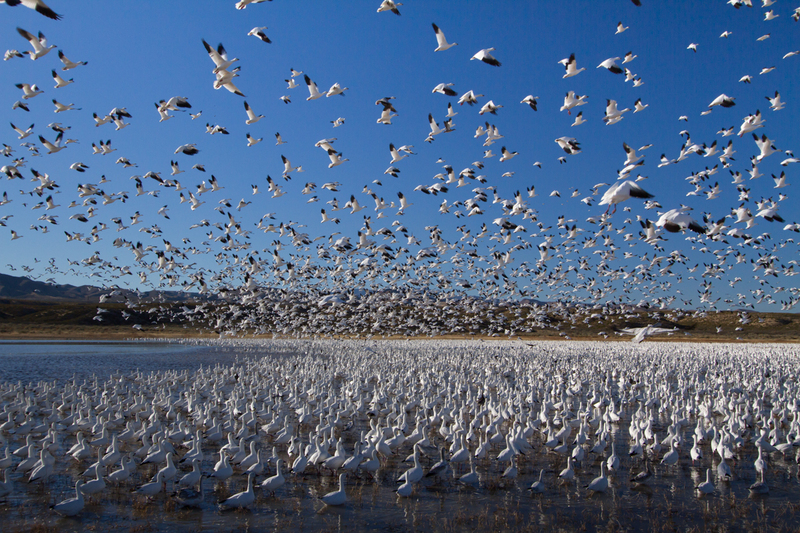 As I watched, I heard the sound of approaching snow geese. I looked up and could see thousands of birds coming in from high up in the graying sky. 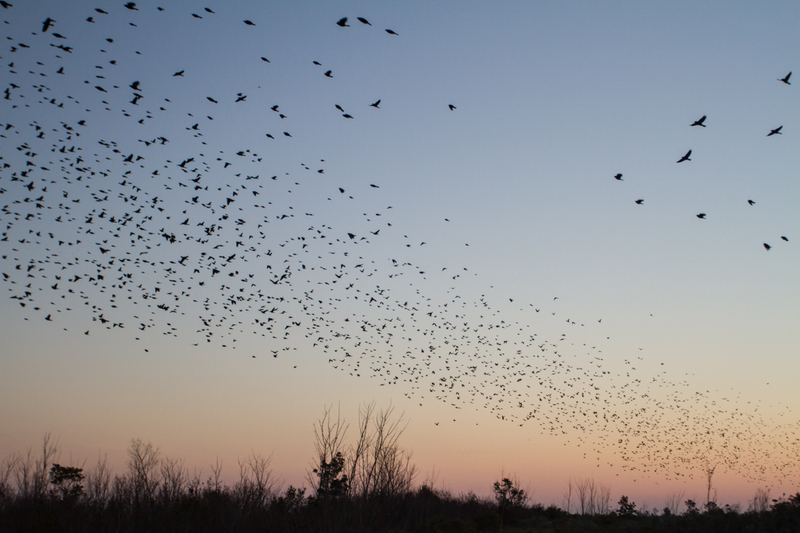 This is why I keep coming back – this spectacle of the birds in winter at Pungo is unlike an other wildlife experience in North Carolina. 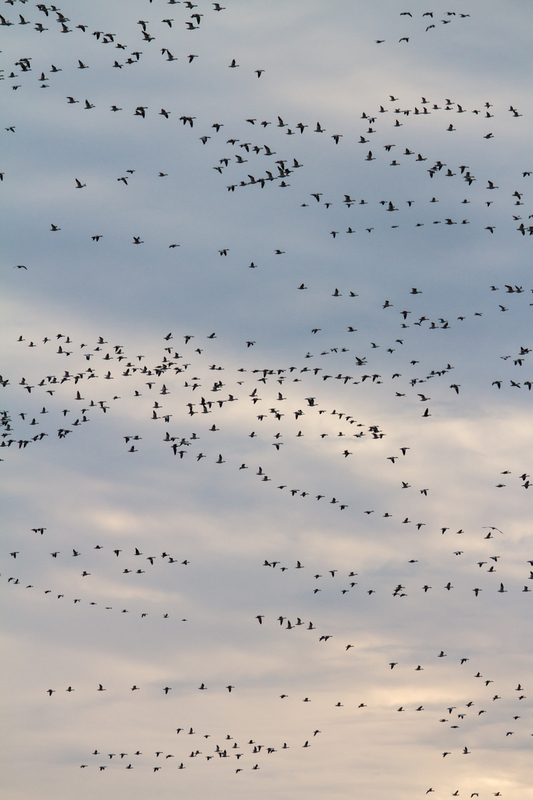 I love the sounds and sights of a huge flock of snow geese, swirling above a field, and gradually coming down. 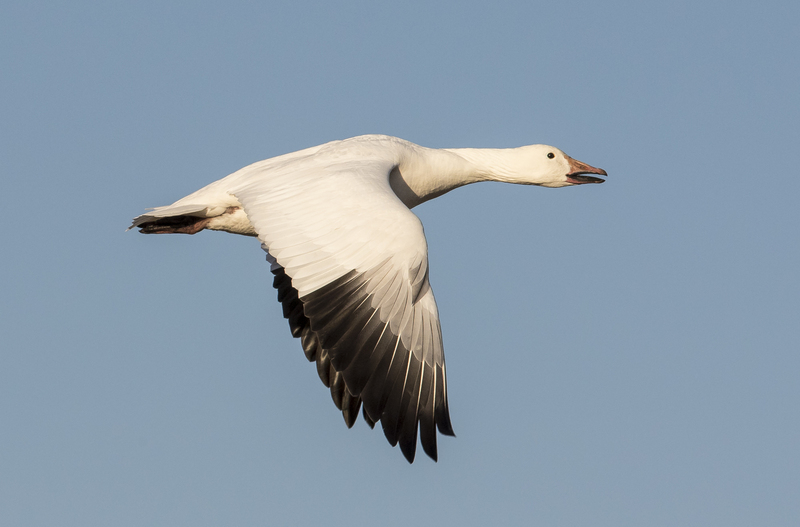 I am always amazed they seemingly aren’t landing on top of their flock-mates, but maybe that’s what all the noise is about – snow goose warnings. After feeding for many minutes, something caused the massive flock to explode from the field in a wall of black and white feathers. That sound is one of the most amazing, loud, whumpfs in nature. I may not get back down this winter before they all start their long journey northward, but am thankful for this incredible day in this amazing wild place. 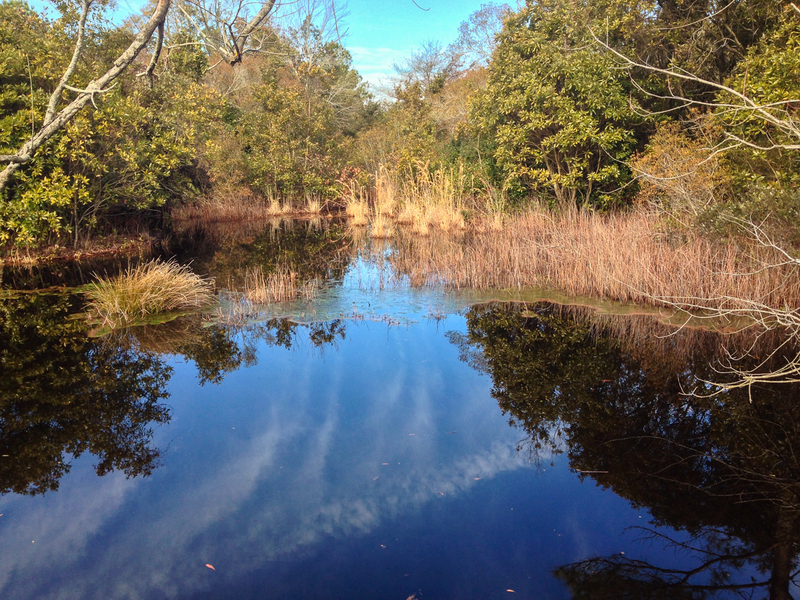 Last week I had another group going to the Pungo Unit of Pocosin Lakes National Wildlife Refuge. They had been scheduled for the prior week, but the rare coastal snow storm had made it impossible for them to get to Pungo. I headed down the day before to scout the roads that had been so difficult to navigate the weekend before. It is amazing what a dry day can do for road conditions and I was pleased they had improved greatly, although there were still a few pretty difficult mud holes to navigate. A quick drive through in late afternoon and I had the usual thousands of Tundra Swans, Red-winged Blackbirds, 15+ Bald Eagles, and a few bears. The Snow Geese were not in the fields with the swans as they had been last week, but, instead, flew over and back several times, but refused to settle down. 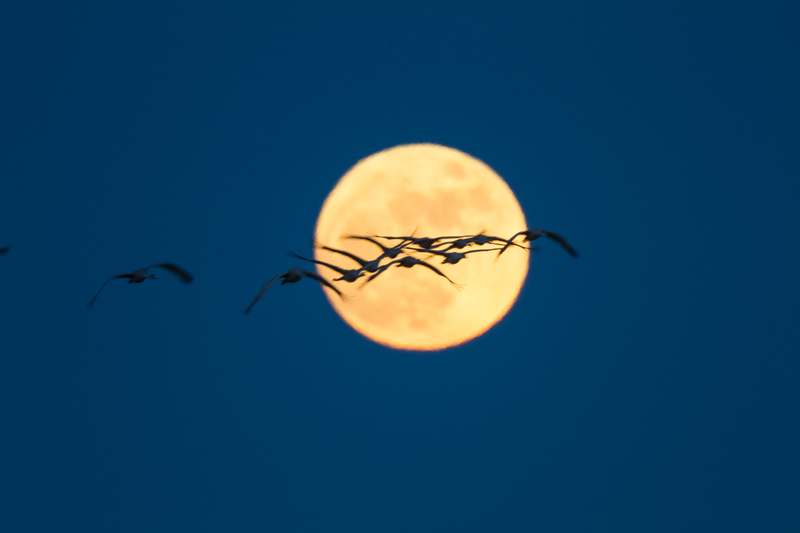 They ended up landing briefly in some fields on private land a couple of miles to the north, but as I drove toward them, hunters opened fire, sending the flock scurrying back to the lake for the evening. We met at 6:15 the next morning and headed to the refuge. Leaving one car at the maintenance area, we drove to the observation platform on the south shore of Pungo Lake. 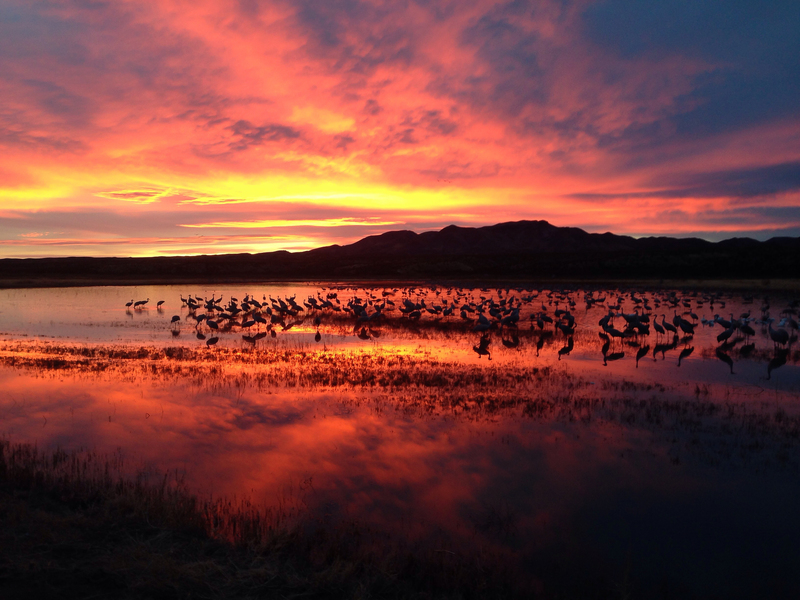 A chilly north wind greeted us, but relatively few birds compared to previous sunrises. But the Red-winged Blackbirds did not disappoint. Right on schedule, they streamed over us by the thousands, flying in from the east, and continuing on to the fields to our west to feed. The morning was relatively quiet. 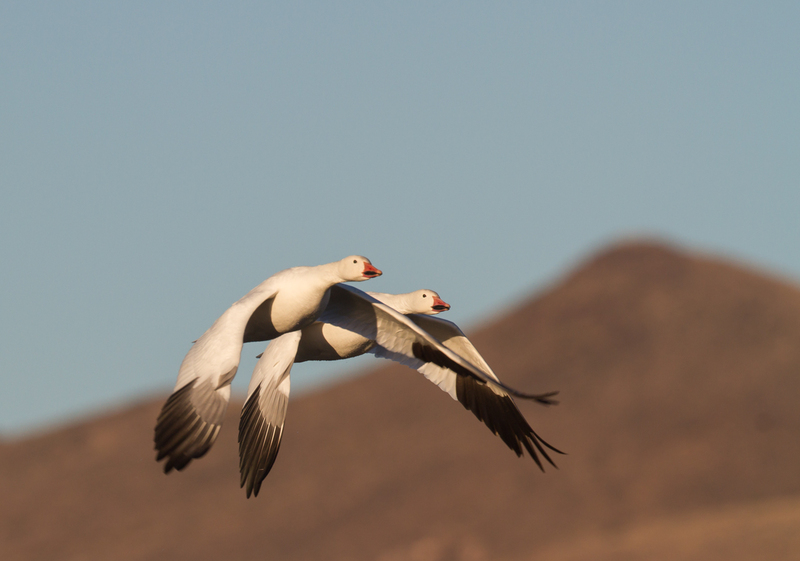 The Snow Geese flew out of the lake at 7:30 a.m., right on schedule, but headed north to places unknown. Swans continued flying out most of the morning as we drove the refuge looking for bears and other wildlife. The reflections in the canals were beautiful, so we stopped a few times for photo ops, but mainly kept looking for some place where wildlife was abundant and active. 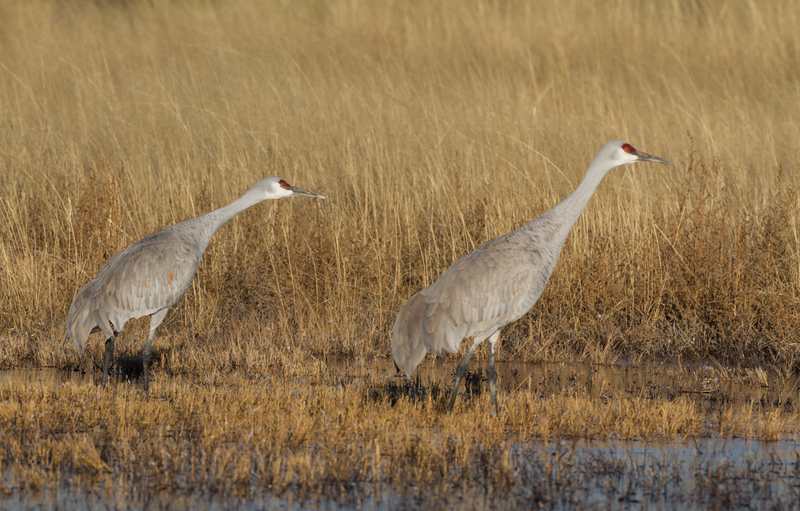 While observing a large group of swans in a flooded corn field, I suddenly spotted some unusual visitors – Sandhill Cranes! 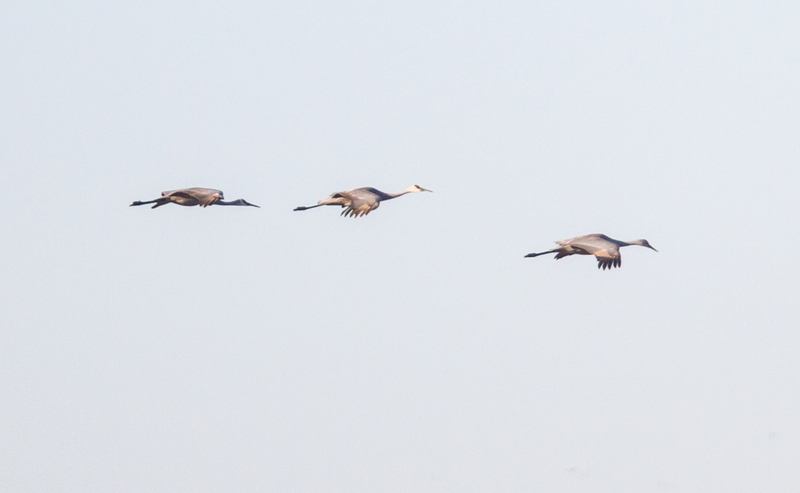 Two small groups, totaling five cranes, flew by us out toward private farm fields to the west. 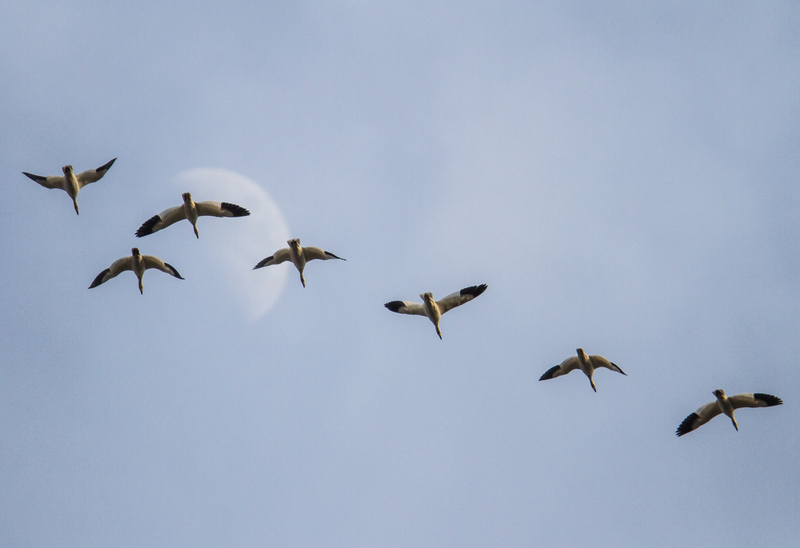 While they were a considerable distance from us, there is no mistaking the distinctive flight pattern. I managed a few quick shots of one group before they disappeared. 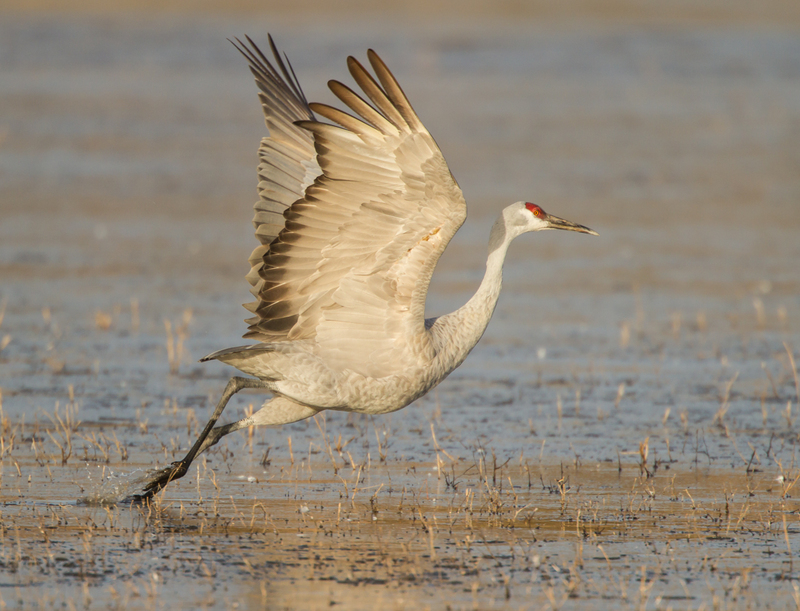 I have only seen Sandhill Cranes here one other time in all the years I have been coming to the refuge. The Sandhills were the first of two surprises our group encountered. Later in the afternoon we heard and spotted another Trumpeter Swan as it (or perhaps two) flew by us, mixed in with a few Tundra Swans. 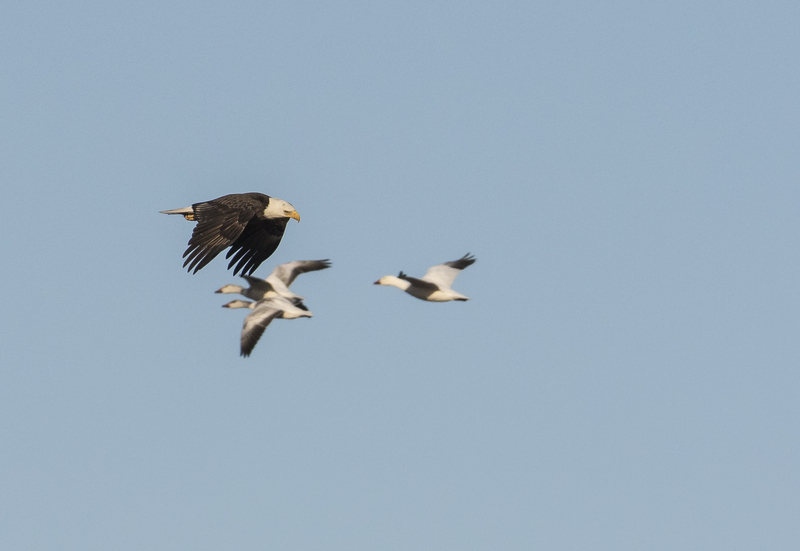 I had heard the distinctive call of a Trumpeter while leading another group a week ago, and here was another flying by. 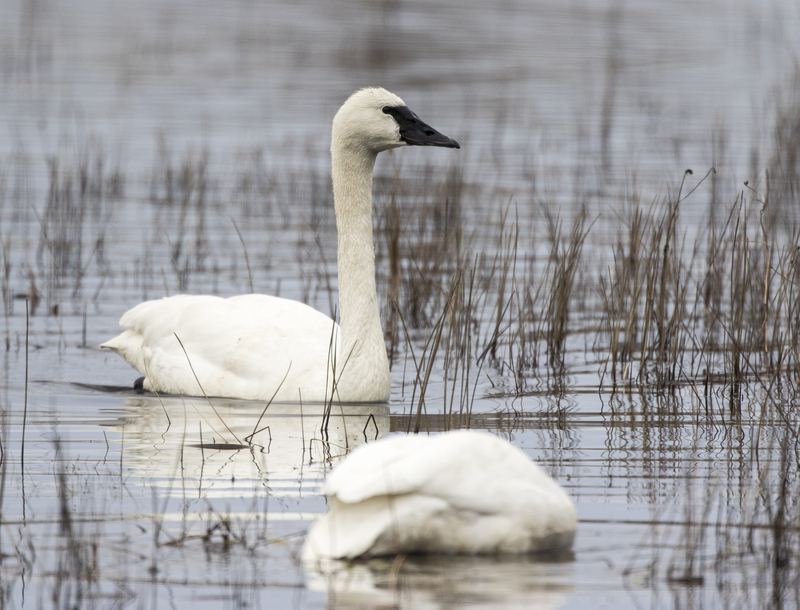 When I contacted a friend and USFWS biologist about it after hearing the first Trumpeter last week, she told me they had observed a few last winter while conducting a waterfowl survey in the area and she reminded me they had captured a few several years ago while banding Tundra Swans. She suggested they may be part of the group that was released a few years ago as part of a reintroduction effort in Ohio. Part of the afternoon was spent hiking the woods along “Bear Road” and observing the abundant bear sign. We did see a Great Horned Owl and later heard a Screech Owl, but overall, the woods were very quiet and even the lake lacked the usual background sounds of hundreds of swans. They all seemed to be out in the fields feeding, so that’s where we headed for the end of the day. After looking at several Bald Eagles overlooking fields full of swans and blackbirds, we finally saw a couple of bears emerge from the trees. But soon, they rushed back in and, to my dismay, I soon saw the reason why – two dogs were patrolling the field and running at everything in sight. I had seen these same two dogs the day before on a road miles from here on the other side of the refuge, and, later, in this same field. I think they belong to one of the houses along the paved portion of road, but it is unfortunate that they are running loose on the refuge, spooking the few animals that were out on this day. With the dogs being in this field, I decided to move up the road to where a few thousand swans were feeding. 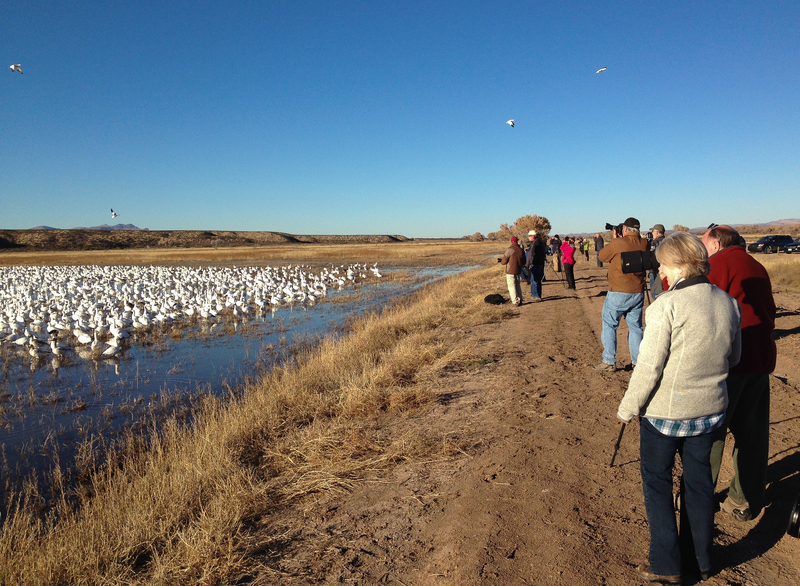 As we watched and listened, a few hundred Snow Geese flew in…a good sign. 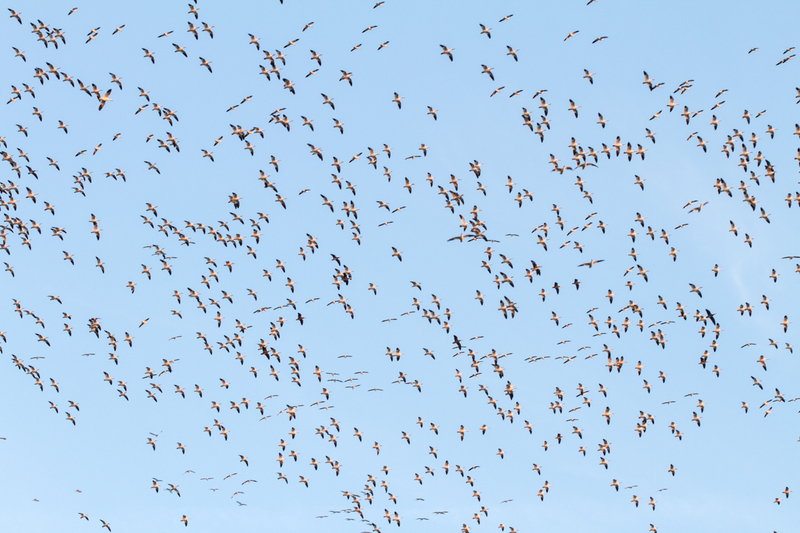 Shortly afterward, several thousand Snow Geese came flying in very high up and then began to swirl around the wheat field in their classic group landing. Once again, we stood in awe as the sky was filled with thousands of beating wings slowly descending to the fields. 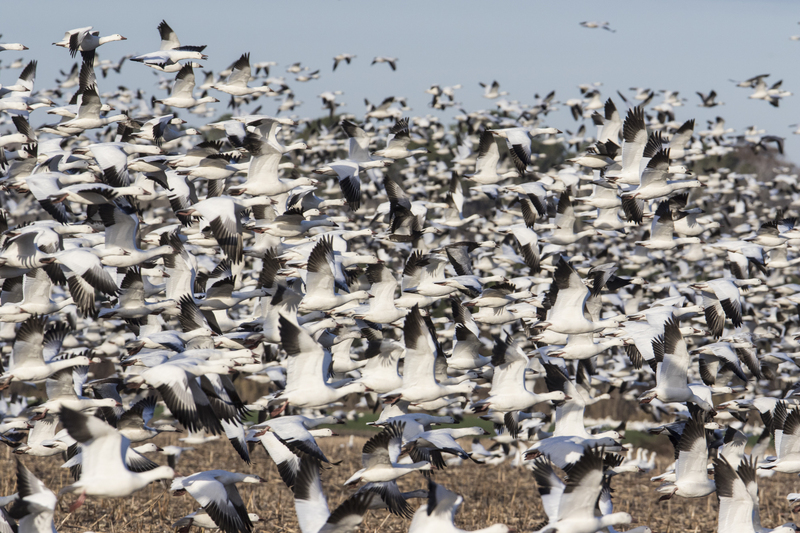 Here is a brief video of thousands of Snow Geese settling into the wheat fields, where hundreds of Tundra Swans are already feeding. 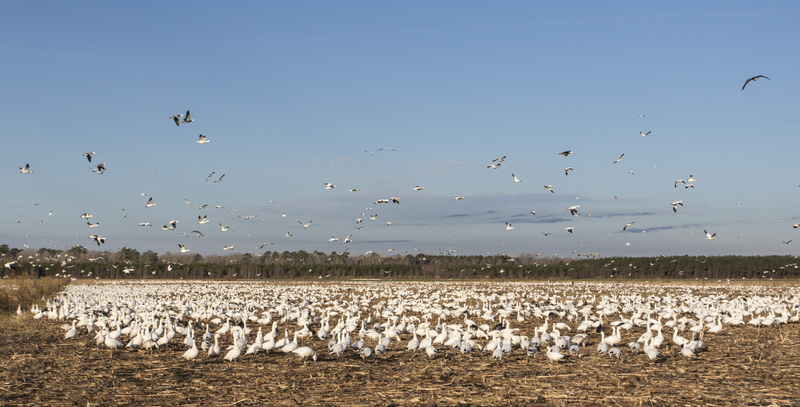 The prime season at Pungo is beginning to wind down, and one day soon, in a week or two, or three, the Snow Geese will all lift off and head north. For days following that, the Tundra Swans will drift off to the north in smaller flocks until, in a few weeks, the lake will be silent once more. Many of the eagles will disperse, with just a few remaining behind all summer. The giant flocks of Red-winged Blackbirds will break up and move to breeding territories to the north. 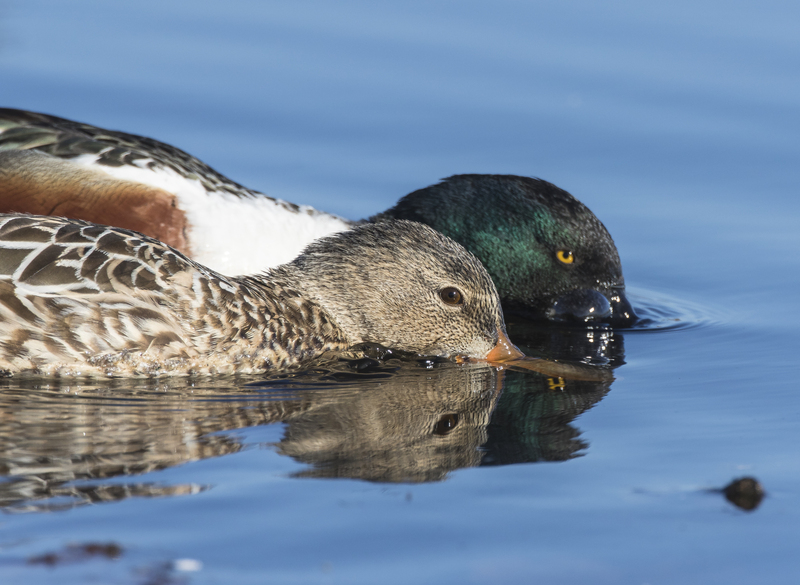 But new species of song birds will arrive, and the bears will start being more active, new cubs will appear, a diversity of reptiles, amphibians and invertebrates will be out and about, and the cycle of life at the refuge will continue. I plan to be there through it all, and hope you can join me. Wherever there are birds, there is hope. 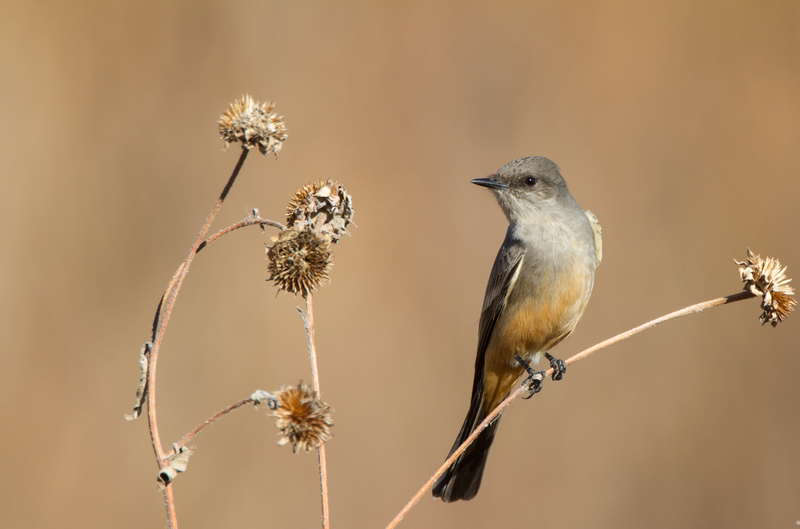 Bosque – say that to any birder or wildlife photographer, and they immediately know of what you speak. 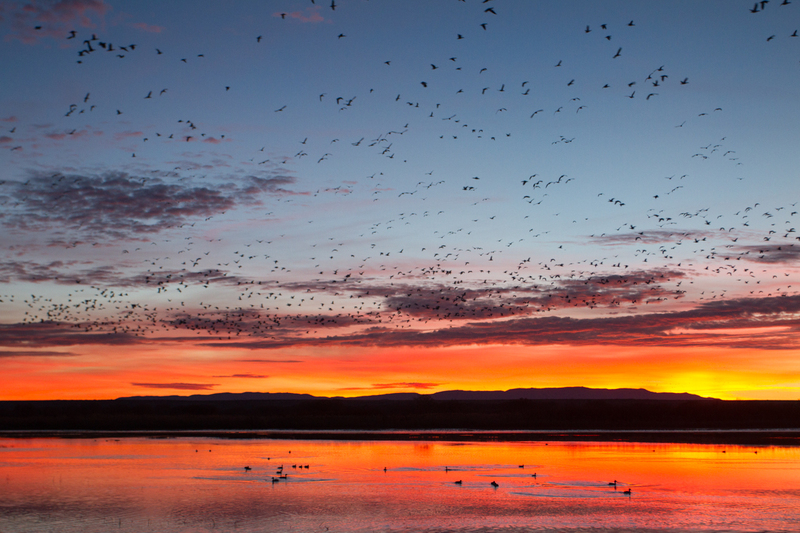 There is only one place that comes to mind – Bosque del Apache National Wildlife Refuge in New Mexico. 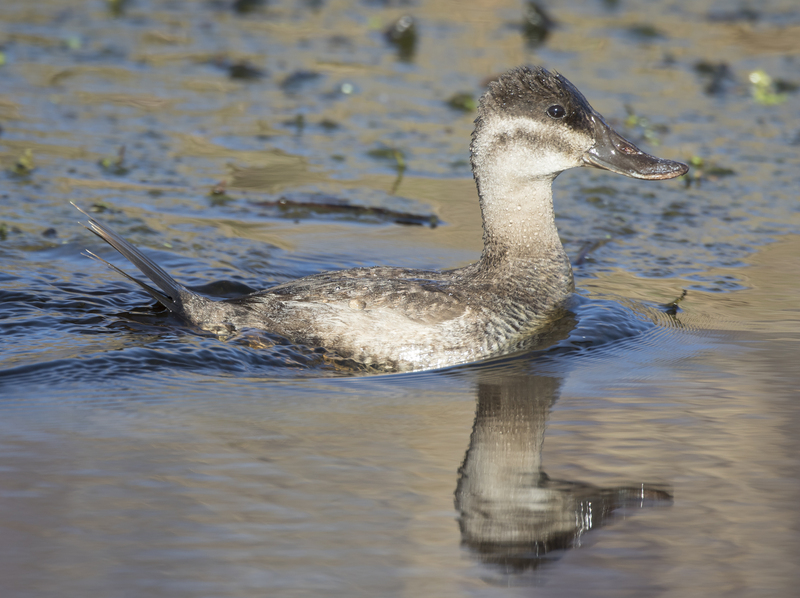 It has been on my bucket list since I first saw images of the birds there more than 20 years ago. And just before Christmas I was there…and it did not disappoint. 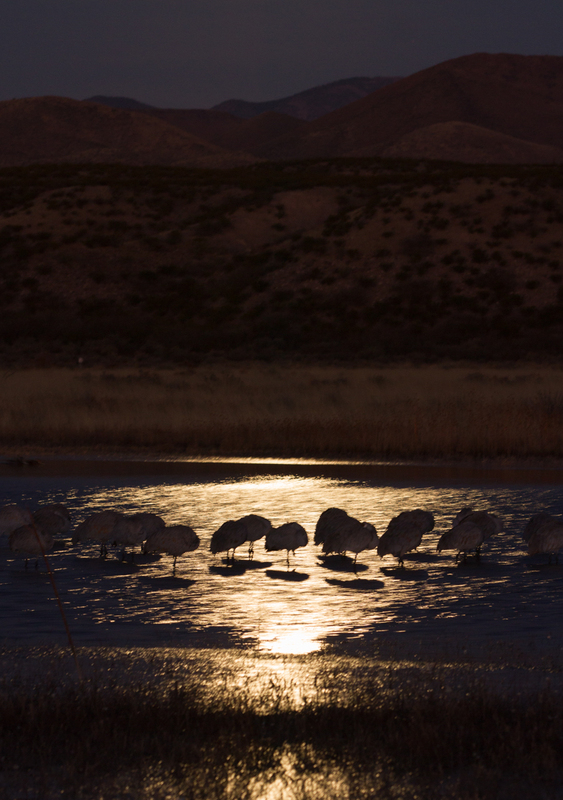 Bosque del Apache is Spanish for “woods of the Apache”, referring to a time when Spanish explorers would be surprised by Apaches coming out of the forests of Cottonwood trees growing along the Rio Grande River. 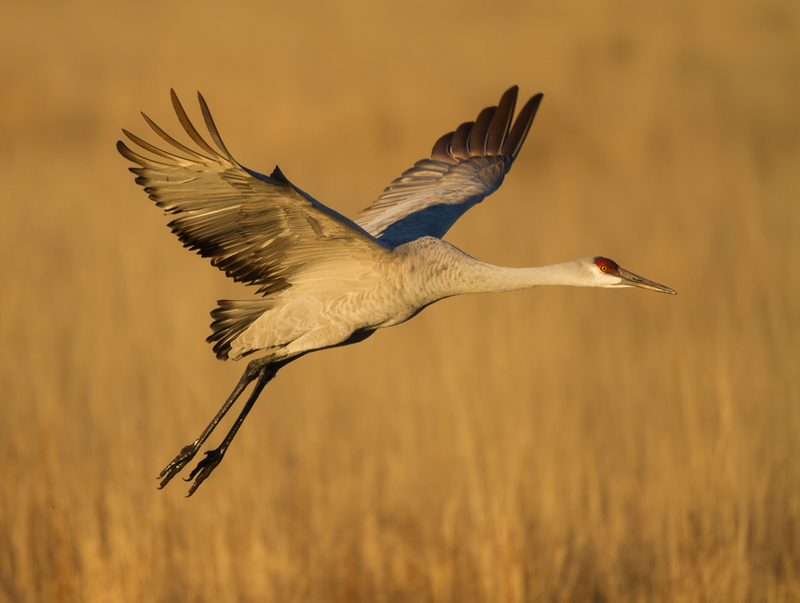 The refuge was created in 1939 to preserve important wintering habitats along the river for waterfowl and a dwindling Sandhill Crane population. 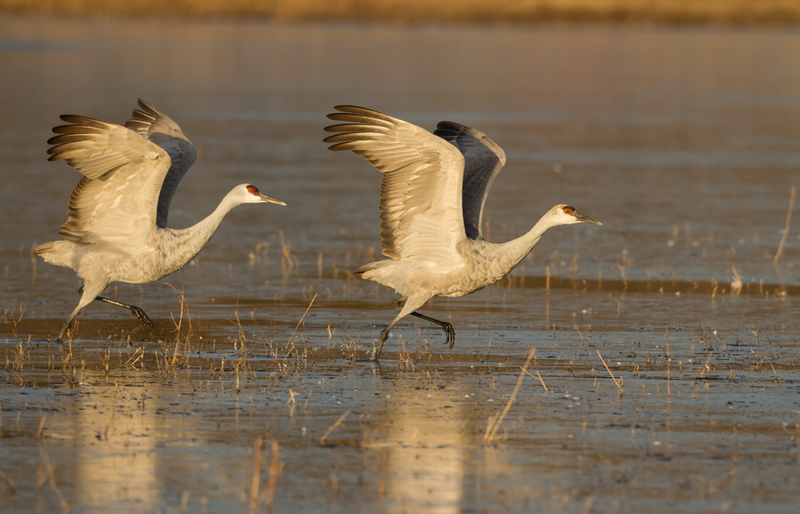 Today, it is widely considered one of the finest wildlife viewing areas in the world, especially for the thousands of waterfowl and cranes that winter here. 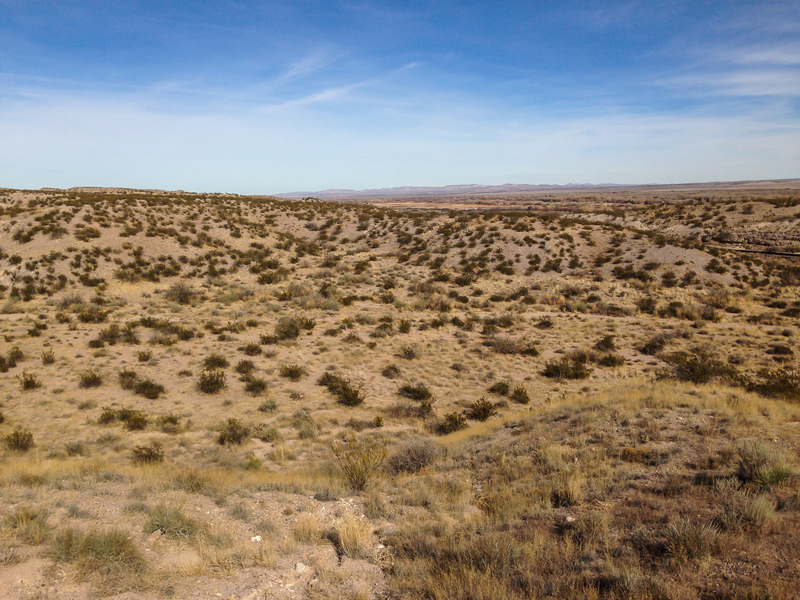 The drive down from Albuquerque yielded no clue to the abundance to come – it is high desert covered in shrubs with odd-sounding names like Creosote Bush and Screwbean Mesquite. As you near the refuge, trees begin to appear – beautiful, majestic trunks of Cottonwoods. The flat landscape changes dramatically as you near the river, the true lifeblood of the 57,000+ acre refuge. 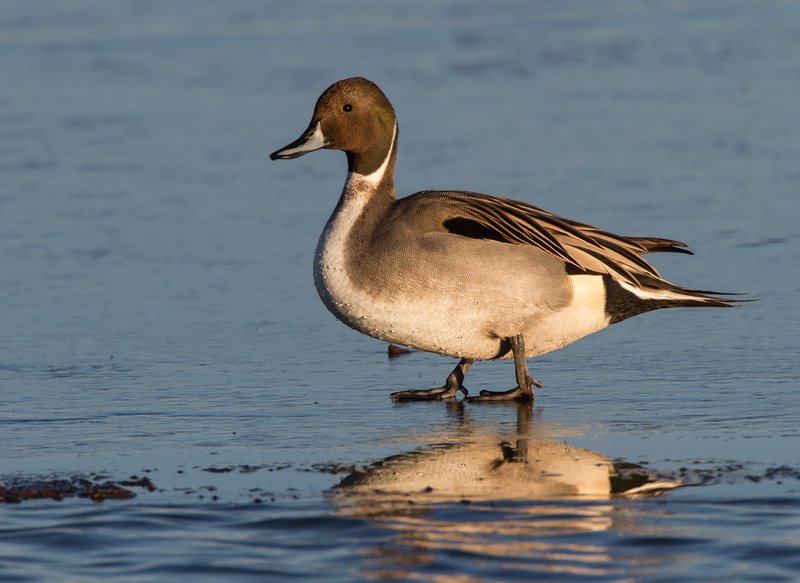 But there were birds to see, so after a quick stop at the visitor center (staffed by a cadre of helpful volunteers) time was spent watching a large flock of Northern Pintails (probably the most abundant duck seen) in a pool bordered by ice. 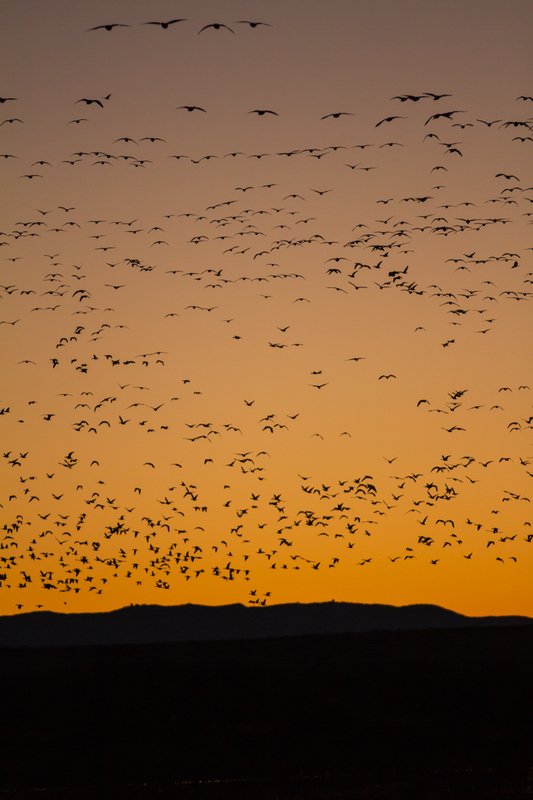 The sky was soon full of birds, mainly Snow Geese and Sandhill Cranes, flying in from the fields to roost for the evening. 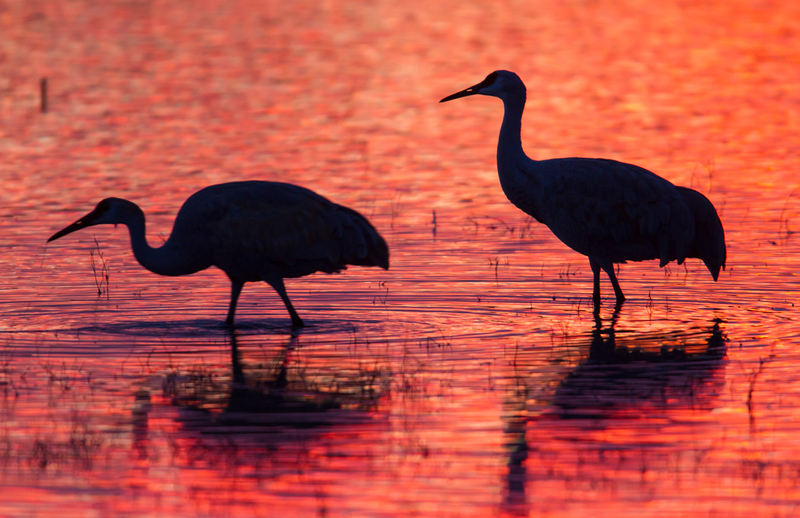 Staff told me the cranes were coming into some pools along the main road known as the Crane Ponds, so that is where I wanted to be as the sun set. The sky was clear, not a cloud in sight. 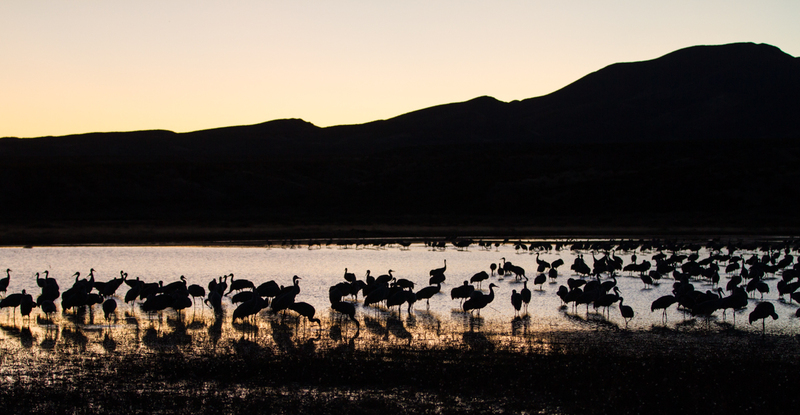 Cranes drifted into the ponds for about an hour as the sun set behind the Chupadera Mountains. Their ancient calls filled the air and a group of us stood in silence (except for the camera shutters:) as the pond filled with the stately forms. Quite an introduction to Bosque. 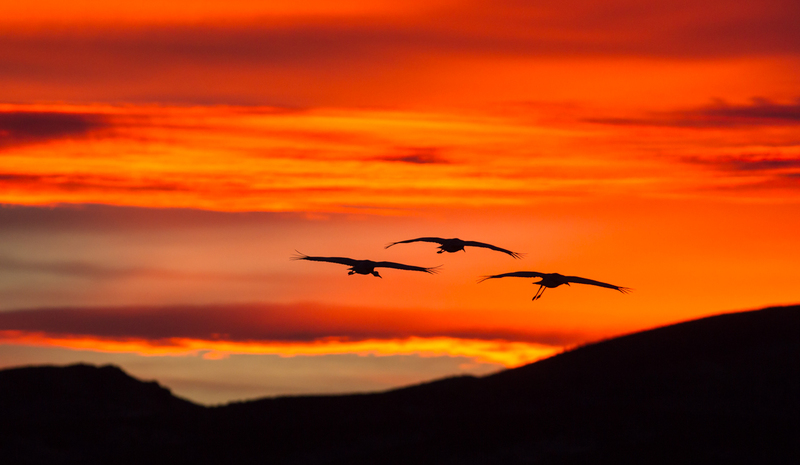 The next few days were a sequence of incredible sunrises and sunsets, with the sights and sounds of thousands of flying and calling birds filling the skies. The final day brought this sky painting sequence to a glorious finale – a lingering sunrise at the area known as The Flight Deck and a slow starting sunset at the Crane Ponds that turned into one of the most intense fire-laden skies I have ever seen. I learned I have a compulsion to photograph birds in flight and ended up with a total of over 8000 images over the five days of shooting. On the return flight I deleted over 1000 and quickly trashed another few hundred once I started reviewing at home. 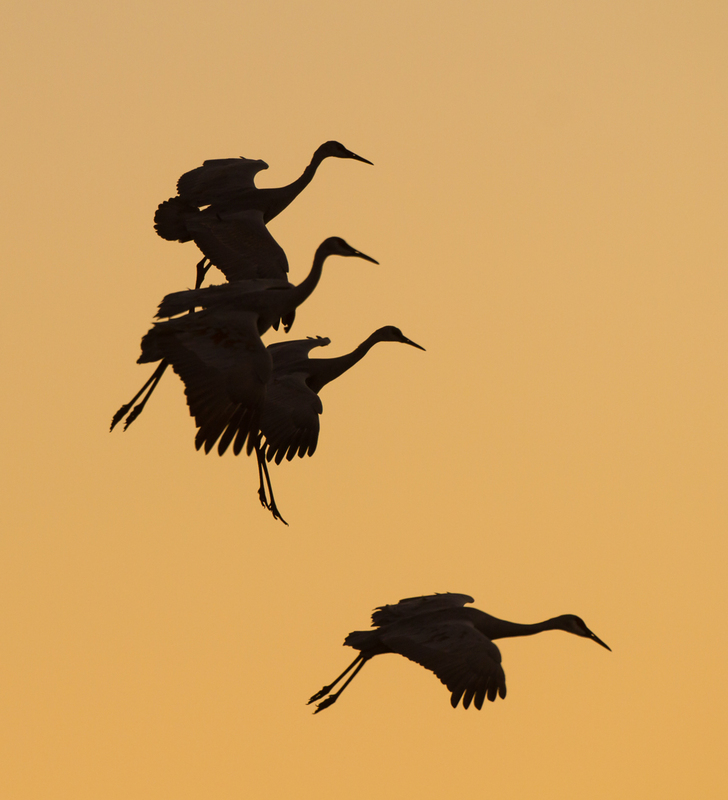 How many images of flying cranes and crowded scenes of birds on the water do you need? 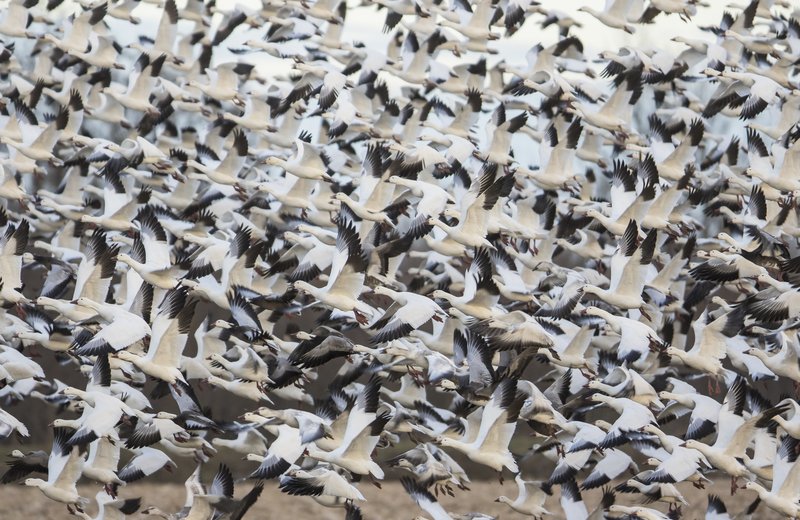 Snow geese are raucous, always busy and noisy, kind of a rough crowd in the bird world, or so it seems at first glance (I actually got hit 6 times by snow goose “bombs” as they blasted off over my head one afternoon). 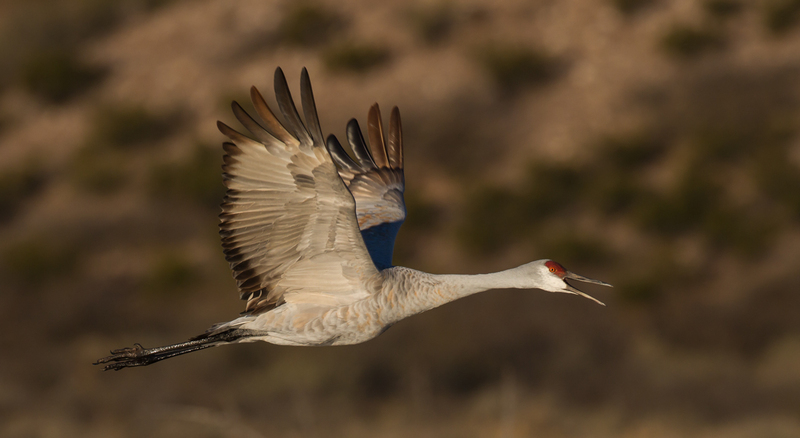 Cranes tend to be more elegant with a call that is one of the most memorable utterances in the bird world. 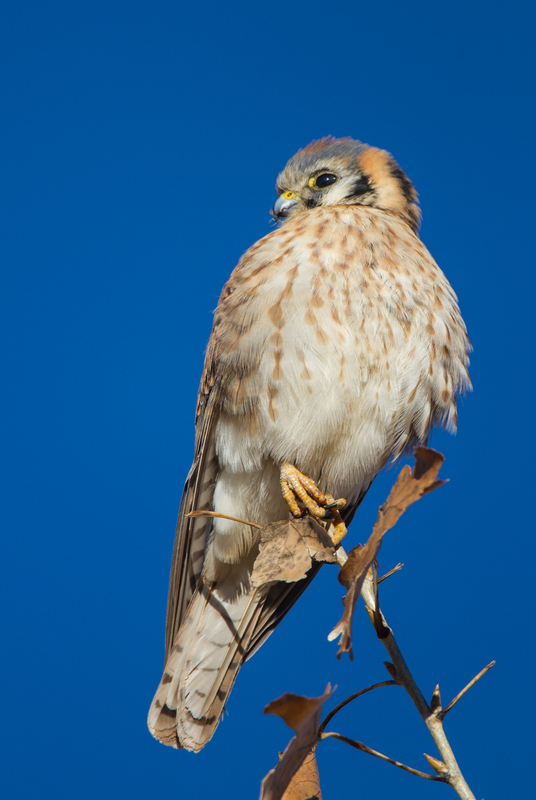 They stand an impressive 4.5-5 feet in height and are stately in their flight, dances, and strides. To offset that noble air, they sometimes do border on the comical with some of their jumps and in a behavior appropriately labeled the intend-to-fly. I called it “the lean”. 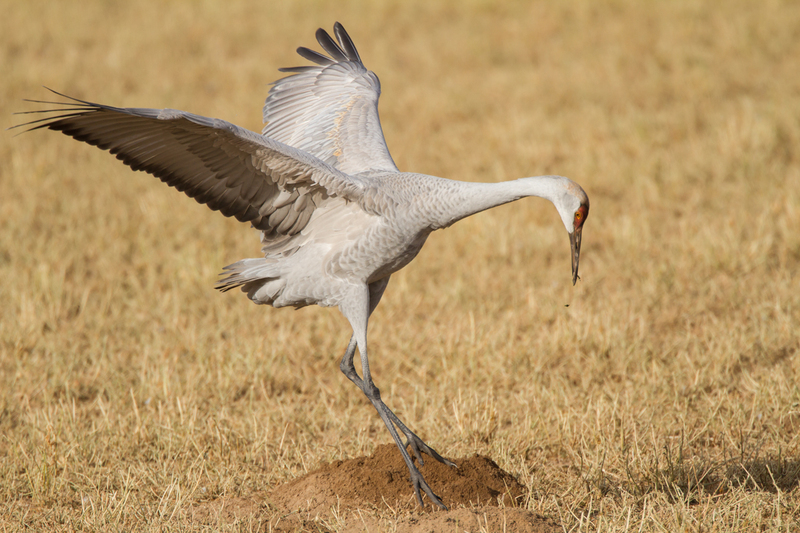 Prior to take-off, cranes tend to lean in the direction of their impending flight. It gets funny when several adjacent birds all start to lean, and then hold that position for what seems like an unnecessary length of time before one bird will finally start the run-and-flap sequence that leads to lift-off. 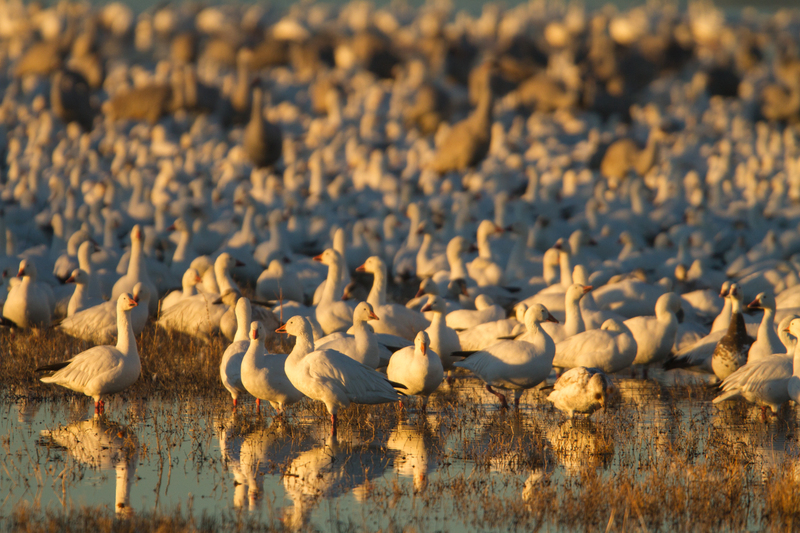 The middle of the day has notoriously harsh light, but is still a great time to search the refuge for other species or to watch interesting behaviors of the stars, the Snow Geese and Sandhill Cranes. When you take time to look elsewhere there is even more to see at Bosque. One of the biggest surprises was one morning when three large bull Elk came out from the shrub thickets, paused, and turned back and disappeared while my mouth fell open and my camera lay untouched on the seat. 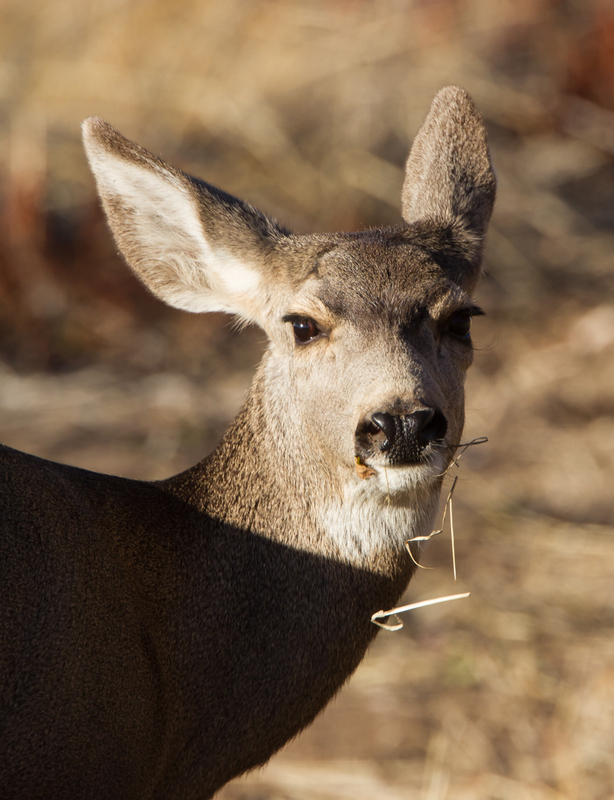 Other mammals spotted during the stay included Coyotes, Desert Cottontails, Collared Peccaries, a Rock Squirrel, and the very common Mule Deer. 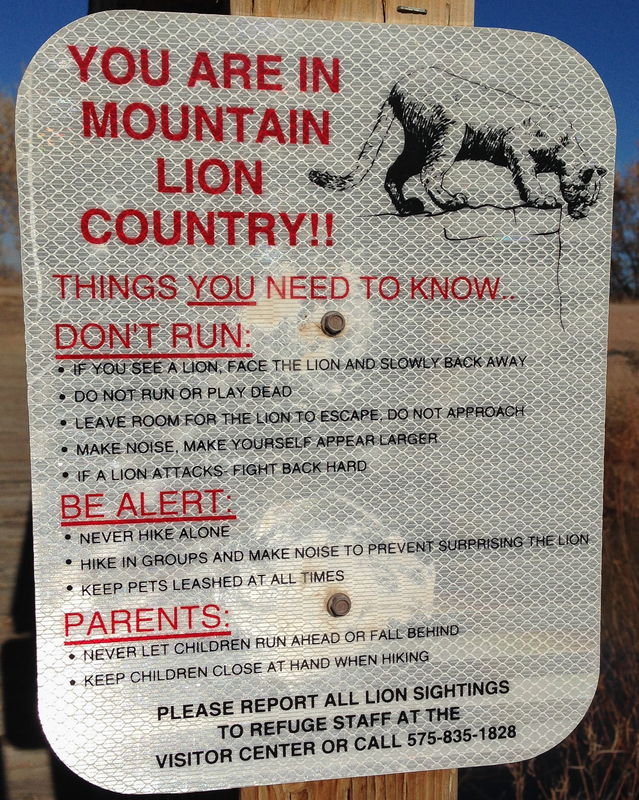 Unfortunately, I once again failed to add one particularly elusive mammal to my life list but did get some hope from these scattered signs. Once you get past the masses of geese and cranes, there are plenty of other birds to see. My last post covered one of the several Great Horned Owls seen, but several other raptor species patrolled the skies including Bald Eagles, Red-tailed Hawks (many of which are various dark color morphs), Northern Harriers, Cooper’s Hawks, and American Kestrels. Other species of note included a few lifers for me – Gambel’s Quail, Say’s Phoebe, Lesser Goldfinch, and a much sought-after species observed late in the trip – a couple of Greater Roadrunners. 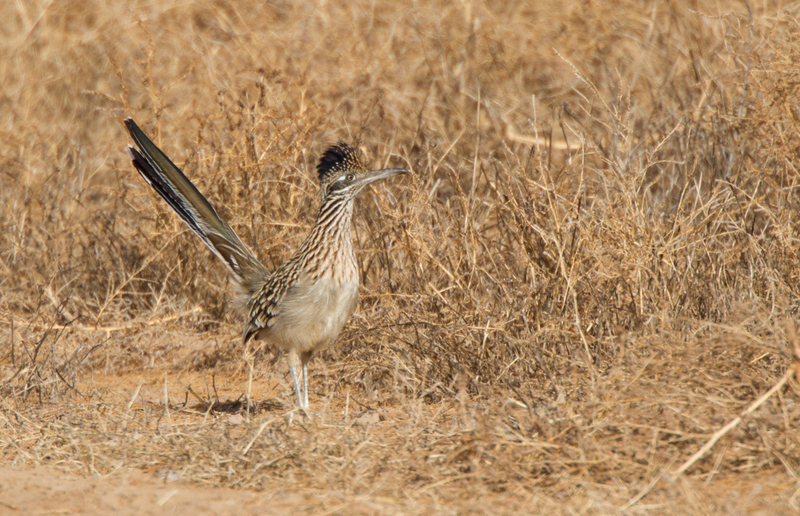 The first Roadrunner was a real skulker alongside a roadway and the second was noticed because of an unusual behavior. Roadrunners fluff up their feathers as they turn their back toward the sun to soak up warmth – they look like a dark gray puffball with a brown neck as they sit in the open for up to several minutes. 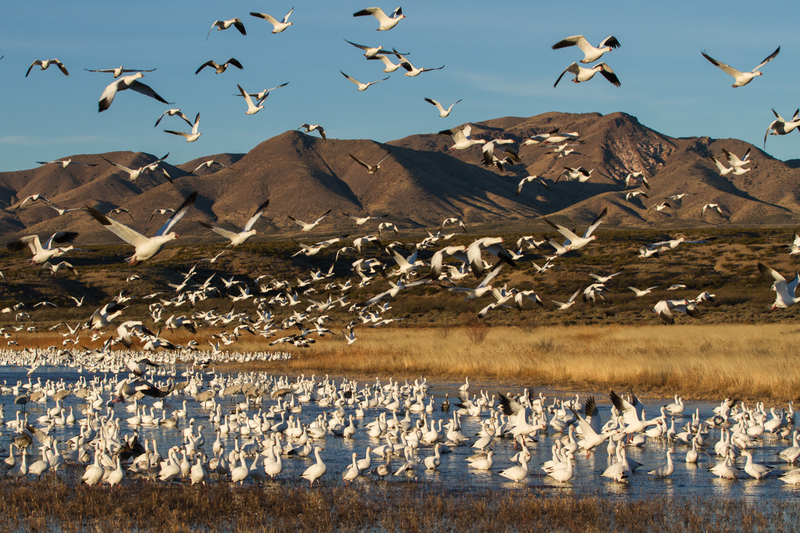 But Bosque is about the spectacle of thousands of birds in a stunning setting. There’s a feeling I get when I have these experiences that I have trouble putting into words. It’s a connection to the larger world, to something much bigger than me. A calmness comes over me. It is powerful, peaceful, and it gives me hope…hope for better things, hope for a world more in tune with natural cycles and events. It also always makes me thankful for those people that had the foresight to set these areas aside as protected lands, and to the people that have been, and are now, the caretakers of these public treasures. 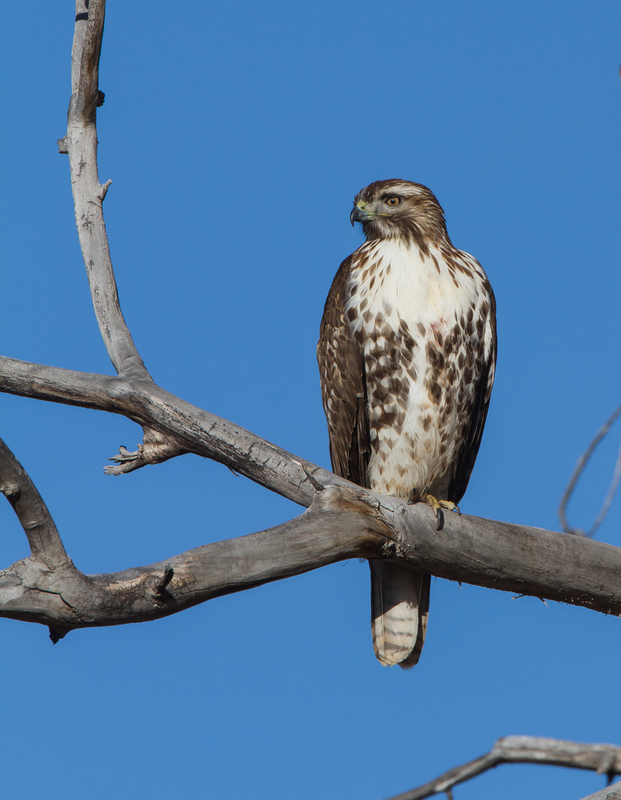 A trip to Bosque is a dream come true for any naturalist or photographer. 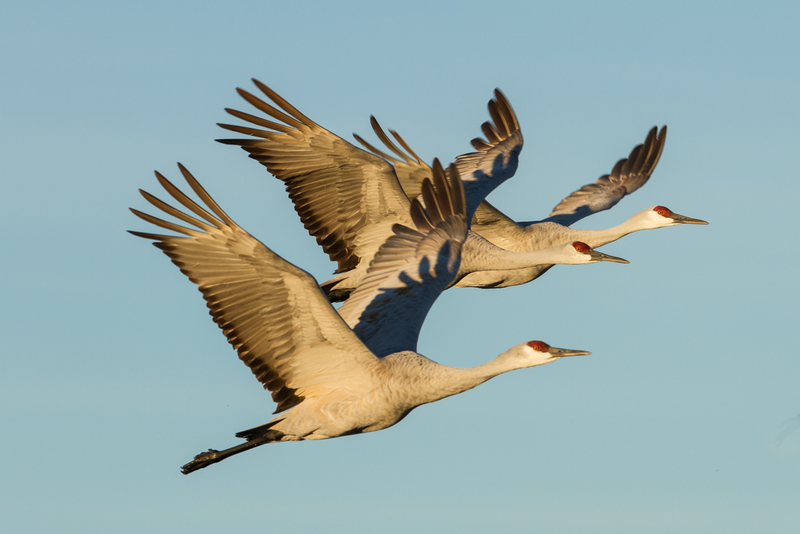 But while the numbers of the different species on the refuge are impressive (that week according to volunteers – 92,000 ducks, 46,000 Snow Geese, 8,900 Sandhill Cranes, 9 eagles), it did remind me of some special places back home – Mattamuskeet and Pocosin Lakes National Wildlife Refuges. And I think I will appreciate them even more now – while a Sandhill Crane is a rare sighting in NC, we do have more Snow Geese (estimated 85,000 last year at Pocosin Lakes alone), tens of thousands of ducks and Tundra Swans, many more eagles, and all those Black Bears I find so fascinating. I hope that one day the funding may exist to allow some additional development of visitor services facilities at our refuges, but for now, I am looking forward to my next trip down east in the next few days. 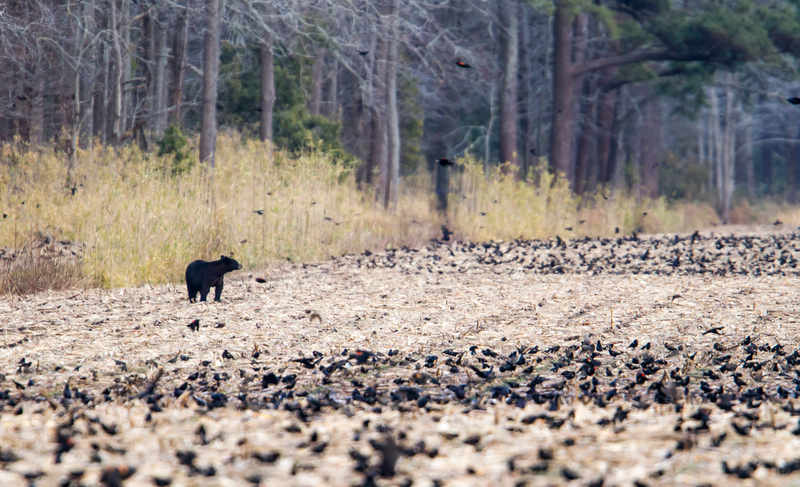 I’ll be sure to pause and reflect how lucky we are to have these special places here in NC where we can be inspired by the spectacle of abundant wildlife. 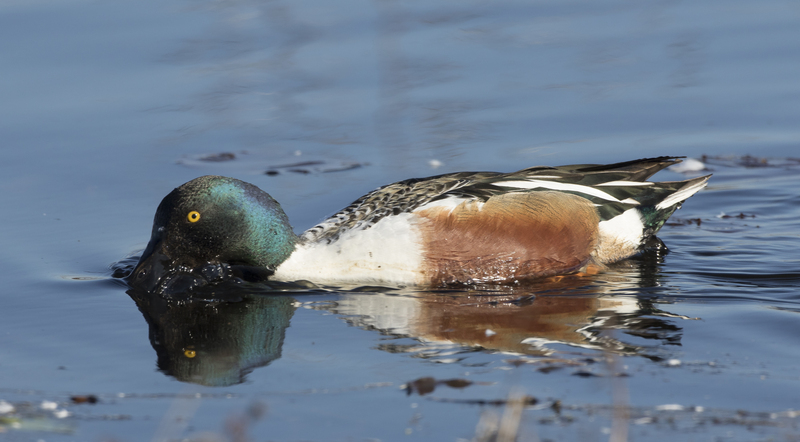 A national wildlife restoration program is based on the premise that wildlife is not only worth our efforts to restore it, but that its restoration is absolutely and vitally essential to the welfare of our citizens. When we hear his call we hear no mere bird. We hear the trumpet in the orchestra of evolution. He is the symbol of our untamable past, of that incredible sweep of millennia which underlies and conditions the daily affairs of birds and men. Our ability to perceive quality in nature begins, as in art, with the pretty. It expands through successive stages of the beautiful to values as yet uncaptured by language. The quality of cranes lies, I think, in this higher gamut, as yet beyond the reach of words. 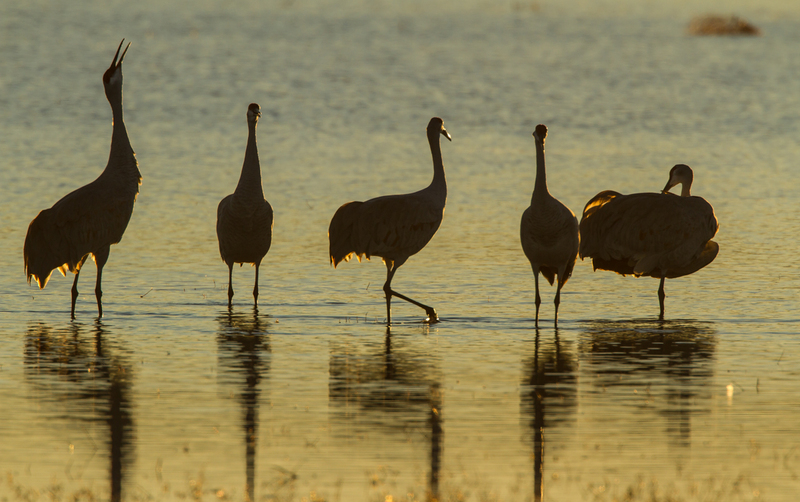 A short video clip with cranes calling at sunset at Bosque del Apache.